People & Technology at work for you 24/7. Do you have a quick turn project? At CEM we will do what ever it takes to get your product to you when you need it. We can and will work 24/7 to accomplish any deadline. CEM's efficient size, and operation allows for personalized attention to the needs of each of our customers. We take special pride in our reputation for service, quality workmanship, and On-time deliveries. 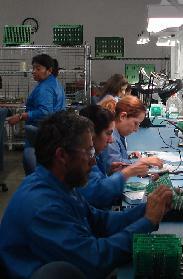 CEM offers you an unparalleled level of flexibility and responsiveness to your manufacturing needs. CEM's mission is to be a responsible partner, helping you get quality products to your customers on time.